Looking for a SeaTac plumber you can trust? Look no further! 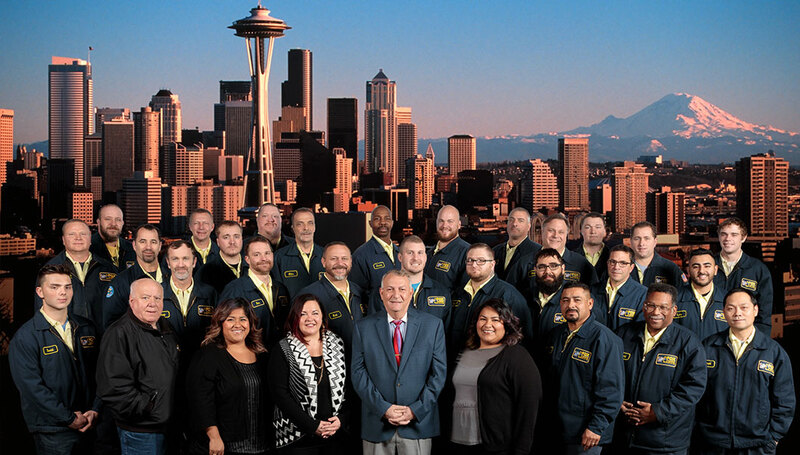 Fox Plumbing & Heating is dedicated to ensuring your safety and peace of mind, and has been serving the plumbing and sewer needs of Seatac for over 50 years. Our number one priority is helping you solve your problem so you can back to the important things in life. Call us today at (206) 654-4990 to schedule an immediate appointment with our team in the SeaTac area. We specialize in drain cleaning, re-piping and leaks, trenchless and side sewer service, and tankless water heater installations and repairs. Planning to replace your water heater? If your current water heater is nearing the end of its service life, make sure your next water heater provides you with the desired features and efficiency. We will help you choose and install the right unit that fits your specific needs. When setting up a new water heater, it is important to take into account the size of your household and your regular hot water needs. If you are looking for a practical alternative to conventional water heaters, we can help you install an energy efficient tankless water heater. These units supply unlimited hot water on demand. You receive the hot water you need right away without having to wait for it to heat up. No matter which type of water heater you choose, conventional or tankless, we will make sure it is installed according to code so you can enjoy long term peace of mind. You may have noticed some changes in your plumbing efficiency. If the problem cannot be repaired with basic treatment, there is likely a more significant problem farther in the sewer line. In some cases, you will need to replace the pipes. Do you notice these or other severe problems affecting your sewer or drain line? Call Fox Plumbing & Heating for professional inspection. We will determine if repiping is the most cost effective solution. Need to repair your sewer line? Do you have to repair your sewer line but worried about the potential damage to your property? Now you can opt for trenchless sewer services when you work with Fox Plumbing & Heating. We do our best to limit any damage to your landscaping, driveway, or yard. You work hard to maintain the appearance of your property—why ruin all of your hard work just because you need sewer line repair? Trenchless sewer repair only requires a few small access points, which helps minimize the amount of damage to the surrounding area. Contact us to learn more about this convenient service. Get fast help when you call Fox Plumbing & Heating. We provide prompt service, quick turnarounds, and comprehensive plumbing solutions that guarantee your complete peace of mind. Call us today at (206) 654-4990 to discuss your plumbing needs! Jerrod was clean, quick and knowledgeable. He identified the problem, suggested a solution and got it done quickly and without problem or mess. Great job.